It’s like measuring the speed of an airplane by how many clouds go by in 1 hour! WLOL 😀 Thats a good example for orange lol. I have not yet been capped..But I have noticed decrease in my speed during a fix time everyday. 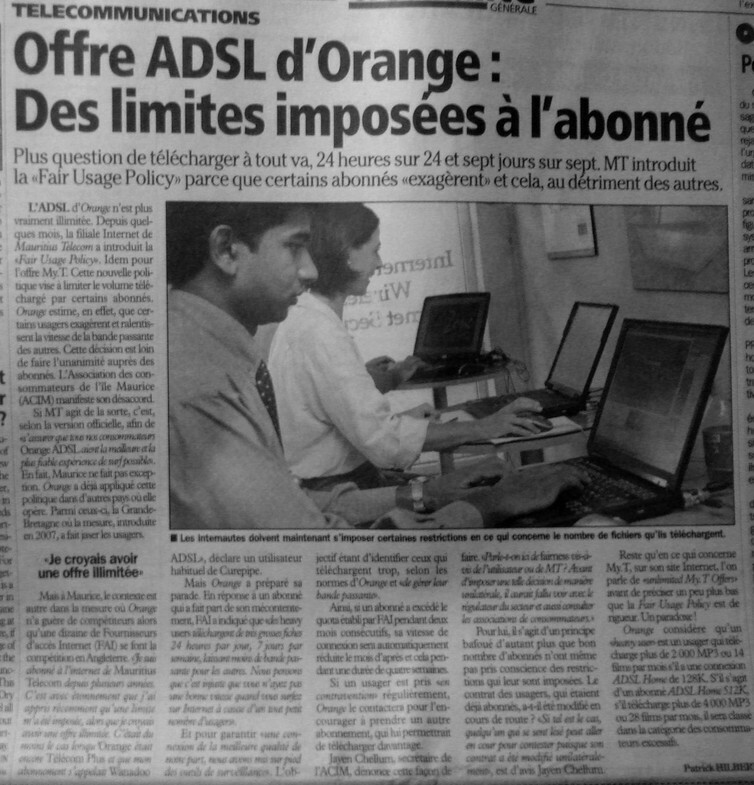 There is another Internet article in L’Hebdo I think. I’ll have it commented by Wednesday, when I get some free time. It’s quite an extensive article, but with quite generic content. If MT has got a Tier-1 network there is no need to cap our connection.